It’s easy to look back with envy to the sheer simplicity of the electricity networks of our parent’s generation and the grouping together at the power board (or MED) of the many disciplines and processes that today lie with disparate organisations, each with competing commercial imperatives. Take the genius of ripple control that for years was at the heart of managing peak demand. 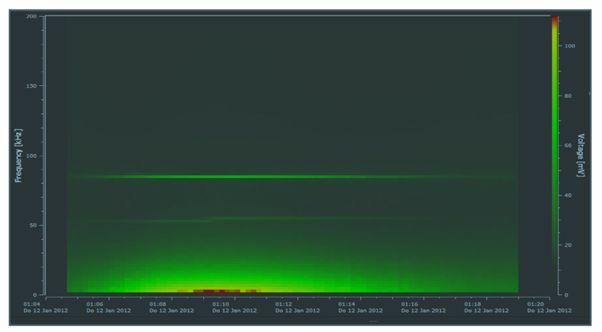 Today it’s rendered impotent by having the ripple control plants owned by the network lines companies and the ripple relay owned by the energy retailer. The benefits of load-side demand management are lost. One of the challenges the industry faces is how to move aging legacy networks of overhead lines and simple protection devices through to state of the art advanced networks with coordination from generation, transmission, distribution and retail networks without bankrupting parts of the industry in the process. We believe the answers lie in making the best possible use of technology. Technology that is continually evolving and, just as importantly, developing commercial models that better serve the needs of the customer and ultimately the country. As a foot note - We’re heartened by the feedback received from our recent Ring Main tour. It’s clear that customers are appreciating the possibilities that now exist for deploying 8DJH and 8DJH-36 in place of conventional primary switchgear. Equally they appreciate the cost savings. The area of interest for today’s Power Quality Engineer is not limited to the 50th harmonic of the mains supply, or even the 200th. Today there is a need to monitor ‘supraharmonics’; keeping an eye on interference from modern charging devices. The term supraharmonics (super harmonics) covers harmonic (and interharmonic) frequencies up to 150 kHz. A-Eberle’s PQ-Box 300 is the first available field Power Quality Analyser with supraharmonic capabilities. During development of this instrument, the University of Applied Sciences in Bingen (Germany) undertook measurement on eight different electric vehicles. A white paper of this testing has been written by the PQ-Box 300’s developer and highlights some interesting issues, such as interaction of different chargers, and the fact that three-phase chargers often switch to single phase towards the end of charging. This becomes problematic when multiple chargers mostly pick the same phase. Example PQ-Box 300 display of supraharmonics. Use this link to download a copy of the paper, and get a preview of the issues Power Quality Engineers and network engineers will increasingly face with the uptake of electric vehicles and the proliferation of vehicle charging stations. WinPQ mobil 4.1.0.1 for the PQ-Box 100/150/200/300 has been released. Please see our website Power Quality Product Technical Library for release notes and links to the software. In addition to a few bug fixes, this latest version allows the user to select if EN 50160 and harmonic reports are to include up to the 25th or 50th harmonic. For PQ-Box 200’s equipped with a Transient Capture card, the new firmware doubles the maximum sample rate to 4 MHz.. This is truly an impressive Power Quality monitoring device which caters to many different needs. PQI-IDA Smart has the measurement capability similar to A.Eberle’s Portable PQ Box 100 Analyser. For sites without comms infrastructure, the unit can be fitted with a memory card to store data at site, ready for manual uplift. At sites with comms, real-time data can be streamed to a desktop or database. 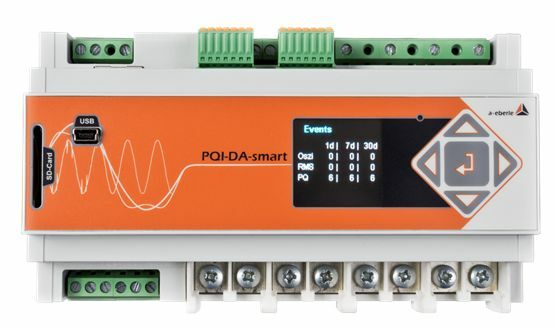 PQI-DA smart power quality recorder. 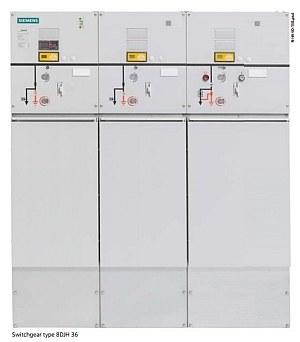 The popular 8DJH series of 11/22 kV switchgear has a bigger brother – the 8DJH-36. This range of switchgear is physically a slightly larger, scaled-up version of the very successful 8DJH RMU's. In terms of front panel design and operation, it’s hard to tell the difference between the two ranges, thus saving the need for further operator training. An outdoor enclosure is also available. Suitable for indoor applications such as power distribution systems, energy supply of utilities or larger industrial sites, the 8DJH-36 range includes several predefined, lower cost, single SF6 gas block configurations. It’s also versatile with the option to allow future extensions of panels to left or right. The 8DJH-36 is being used for outdoor to indoor conversion of 33 kV switching stations locally in New Zealand, and is planned for use on mobile substations. For many of New Zealand’s smaller substations, where a 630 A rating is sufficient, 8DJH-36 offers considerable saving in capital cost compared to traditional primary switchgear. Siemens 8DJH-36 RIng Main Unit for 33 kV applications. See the 8DJH-36 website to download the latest 8DJH-36 Catalogue. Have you ever wanted to open a stored PQI-DA setting file, or template file to check a value/setting, but not had an IP connection to the device? The method is to create a new station of the ‘Offline’ type. 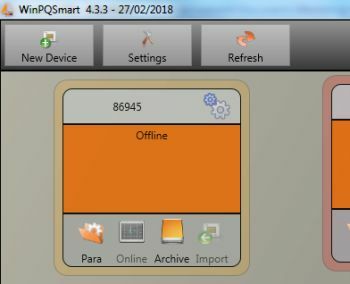 Simply use the normal process to add a new PQI-DA smart to your WinPQ smart desktop, but when prompted for the new device’s IP, leave that blank, then Save. A new station icon of the ‘Offline’ type will be created. The ‘Para’ button can now be used to open any stored setting/template file!. "Offline" device for opening stored setting files.